Wireless Modem Blog - Globally the USB Wireless Modem with software on the chip is the standard method, this page will explain and explore the future. Please submit stories explaining how to use a USB Wireless Modem for Internet access to assist the location independent traveler work from their Mobile Office stateside or overseas. A USB Wireless Modem Internet plan overseas allot 5-8 GIG, to save money it helps to know how much bandwidth or data Skype.com uses for telephone call. List of ways to limit bandwidth when using a USB Wireless Modem or other data services do not provide unlimited access. 1. Cell Towers that emits a 3G level data stream. 3. Under 75 dollars per month, this is included buying the Modem. 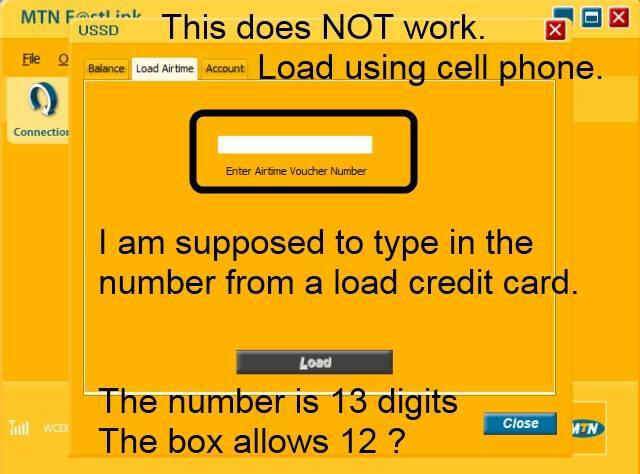 Use your cell phone to load time onto a card, the control panels seldom work simply. Wireless Modem Defined: A wireless modem is a type of modem which connects to a wireless cellular network instead of to the normal landline telephone system. When a mobile Internet user connects using a wireless modem, they're attached directly to the wireless ISP (Internet Service Provider) and can then access the Internet. Modem Defined: A modem (modulator-demodulator) is a device that modulates an analog carrier signal to encode digital information, and also demodulates such a carrier signal to decode the transmitted information. The goal is to produce a signal that can be transmitted easily and decoded to reproduce the original digital data. Modems can be used over any means of transmitting analog signals, from driven diodes to radio. The most familiar example is a voice band modem that turns the digital data of a personal computer into modulated electrical signals in the voice frequency range of a telephone channel. These signals can be transmitted over telephone lines and demodulated by another modem at the receiver side to recover the digital data. Modems are generally classified by the amount of data they can send in a given time unit, normally measured in bits per second (bit/s, or bps). They can also be classified by the symbol rate measured in baud, the number of times the modem changes its signal state per second. For example, the ITU V.21 standard used audio frequency-shift keying, aka tones, to carry 300 bit/s using 300 baud, whereas the original ITU V.22 standard allowed 1,200 bit/s with 600 baud using phase shift keying. Wireless Defined: In telecommunications, wireless communication may be used to transfer information over short distances (a few meters as in television remote control) or long distances (thousands or millions of kilometers for radio communications). The term is often shortened to "wireless". It encompasses various types of fixed, mobile, and portable two-way radios, cellular telephones, personal digital assistants (PDAs), and wireless networking. Other examples of wireless technology include GPS units, garage door openers and or garage doors, wireless computer mice, keyboards and headsets, satellite television and cordless telephones.